This webcast will be part tutorial, part demonstration of getting started with programming in Clojure. Specifically, a development environment will be set up from scratch based on Eclipse and Leiningen (the most common Clojure project management tool), and a new Ring web application will be constructed with flexible routes and templating. Much of the presentation — especially the demonstration of key Clojure concepts such as functional composition, immutable data structures, and interactive REPL-oriented programming — will apply equally to other development environments (such as IntelliJ IDEA, emacs, vim, or others) as well as to domains other than web development. 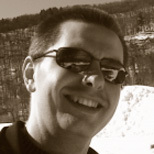 Chas Emerick is the founder of Snowtide Informatics, a small software company in Western Massachusetts where he is the technical lead for PDFTextStream, a PDF content extraction library for Java and .NET. He has been a consistent presence in the Clojure community since early 2008, has had contributions included in the core language, been involved in dozens of Clojure open source projects, and speaks regularly on Clojure, document automation technologies, and the business of software. Chas writes about Clojure, software development practices, entrepreneurship, and other passions at cemerick.com.